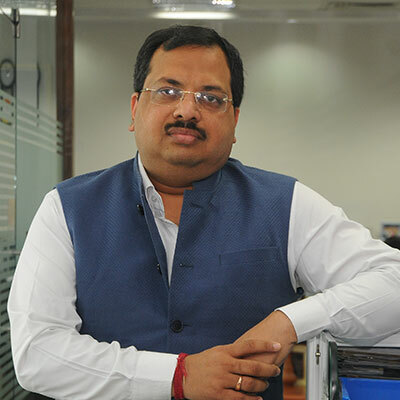 Mr. Sharad Agarwal, is currently the Chief Executive Officer (CEO) of Hindustan Latex Family Planning Promotion Trust (HLFPPT), an Indian ‘not for profit’ organization, promoted by HLL Lifecare Ltd, a Mini Ratna Public Sector Enterprise (Govt of India). Under his dynamic leadership, 24 years old HLFPPT has grown by leaps and bound to become of the largest social marketing and social franchising organization; largest organization working with public sector in capacity building & health infrastructure support; an emerging national leader in health skilling and a trusted name for CSR in public health in the country. He leads this national organization consisting of a team of over 1500 professionals and 15 regional offices manning pan India operations. Mr. Agarwal is very passionate about ensuring safe motherhood and better child health, ultimately building happier and healthy future generations and has been actively advocating for the same for over two decades now. His expertise lies in strategizing and developing novel approaches for improving Maternal and Child Health, HIV Prevention and Control, Family Planning, and Adolescent Health through direct program implementation, technical assistance and capacity building. Owing to his strategic vision and oversight, HLFPPT has become a chosen collaborator for the designing, implementation and evaluation of large scale programs for Ministry of Health Family Welfare, National Health Missions, State Governments and several National, Bilateral and Global development agencies as well as top public sector enterprises and corporates for CSR including many Fortune India 500 companies. An eminent public speaker, he has been invited to various international and national platforms to share his rich experience - most recently being FIGO Vancouver and Global Maternal and Newborn Health Conference in Mexico in late 2015.